Very interesting stuff. More as it comes out. A really cool fluff tool. Last edited by Beacon on Tue Jul 04, 2017 4:48 am, edited 1 time in total. Episode 4 of the Voice of Hope podcast is now available. This episode focuses on cloud castles, support from one of the castle's more iterating residence and a warning about the Splugorth. 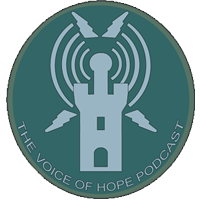 Beacon wrote: Episode 4 of the Voice of Hope podcast is now available. This episode focuses on cloud castles, support from one of the castle's more iterating residence and a warning about the Splugorth. Cool. Just curious if these podcasts will ever be put up on itunes? Welcome Beacon! Love the podcast! As I have said in Google+ and Savagerifts Facebook, a great podcast. Thank you for making it and I really enjoy it. I appreciate it guys. I have tried to put the podcast on itunes. Unfortunately, my logo is not the apple "approved" colors so they won't allow it to got forward from what I can see. Savage Rifts Voice of Hope podcast is now available on iTunes. I would like to thank High Command with getting the Podcast Logo into iTunes standards. Here is the iTunes link. sweet! 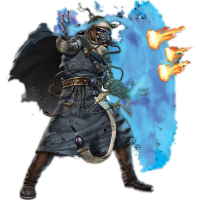 Hey btw the 200x200 PNG I gave you would be awesome as an avatar for yourself. I kinda did that intentionally. Now I can download these to my phone! Sorry all. Episode 6 is up. Hey everyone, Episode 7 of the Voice of Hope podcast is up. I hope you enjoy it. Great News! 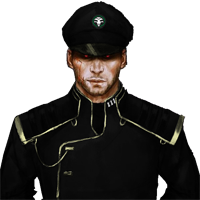 Also, I updated your avatar with one from the artwork I sent you. Hey thanks for the update. I have gotten a chance to update it. Beacon wrote: Hey thanks for the update. I have gotten a chance to update it. I like that you now have additional contributors. It really adds to the feeling of it being a living broadcast. I like how it has naturally evolved. How did you like episode 7? Sorry for some reason I was not able to log in for a while. Episode 8 is now available, Beacon has an interview with Councilor Isaiah Comstock. Beacon wrote: Sorry for some reason I was not able to log in for a while. Completely not your fault. The old site had a sort of system failure (pun intended for palladium fans) and it is all back up and running again now. are the blue D-Bees mentioned in Episode 2 of the podcast the same blue D-Bees that the 4th COT ran into on their way to the town they are traveling to? That's what I immediately thought when I heard the podcast. Edges and Abilities of Note: Acrobat +2 Agility rolls, Dirty Fighter +4 w/Acrobat on trick moves, Tricky Fighter no multi-action penalty for tricks, Ambidextrous, Two-Fisted, Nerves of Steel & Improved Nerves of Steel ignore 2 pts of wound penalties, Combat Reflexes +2 to Spirit rolls to recover from Shaken, Prehensile Tail that gives an additional non-movement action each round. Out of the Frying Pan - Play to avoid death, capture, or some other bad situation for your hero or any ally. The situation leads to some new trouble, however, as determined by the GM. We Have The Talent - you gain the benefits of an immediate Advance of your choice. You must meet any prerequisites. This benefit (new skill, increased trait, new Edge, etc.) lasts for the remainder of the session; your next actual Advance must be spent on this same benefit. Super Fun Beacon!! I am really digging the in character reports. Also, this was my favorite interview with SPF. I have to wade through the COT's forum posts, but the blue d-bees are the same ones introduced in the Welcome to the World Plot point adventure. Pender thank you for the kind words. It was a really fun interview with Sean Patrick Fannon. Basically we were roleplaying the entire interview, he has not show notes what so ever other than the questions that I sent him ahead of time. Well back to the sounding board. I need to get the next episode out. And a shoutout to the 99th SET. Awesome. I will listen today. Beacon wrote: Hello Everyone. Beacon is back with a new episode. This episode he is contacted by a few new friends. Super fun!! Hopefully this is not the last we will hear from you! Hey everyone. You might have seen on Facebook or G+ I need to take a hiatus from the podcast for a while. Life has been a little crazy, crowning itself with my wife breaking her foot at work. I will be back, hopefully before Christmas. It has just been a little nuts. Thanks for all the support. We all wish you well! Good luck. Hope things get back on track and settle down! After much Rifts interference, the Voice of Hope is back. Beacon wrote: After much Rifts interference, the Voice of Hope is back. Great, I will listen today. Looking forward to listening it to it tonight. To the listeners, Beacon has released another archived broadcast from El Dorado Broadcast Radio. Almost two years of making these. Great job, it really connects the world. Thanks I really appreciate it. I will admit after working on the Kevin Episode it was hard to get back into the seat for this episode.